Sessions in May, August, October and February will be held on Saturday starting at 10:30 am with breakfast at 9:45 am. Please see the calendar for dates. 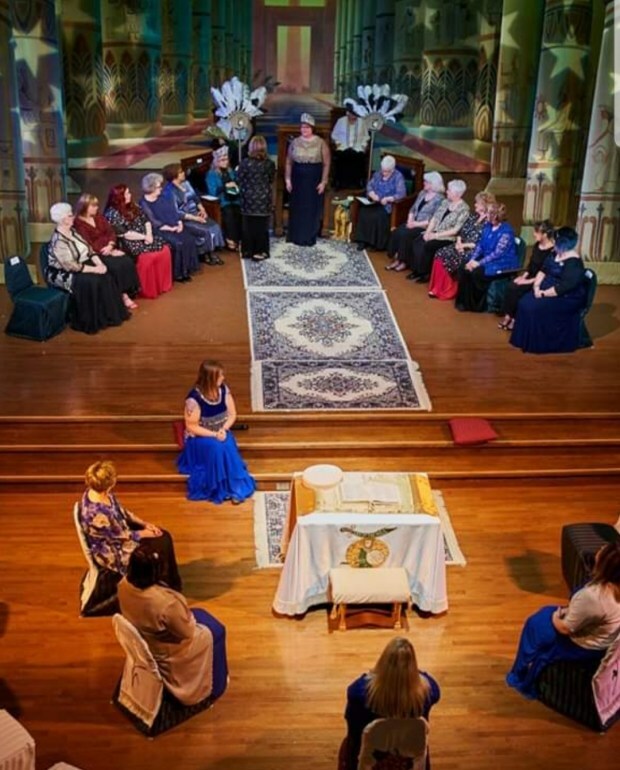 Sat-ra Temple meets on the first Thursday of the month at 1 pm at the Tangier Shrine Center located at 84th and Center in Omaha, NE, except during the months of January, June and July. 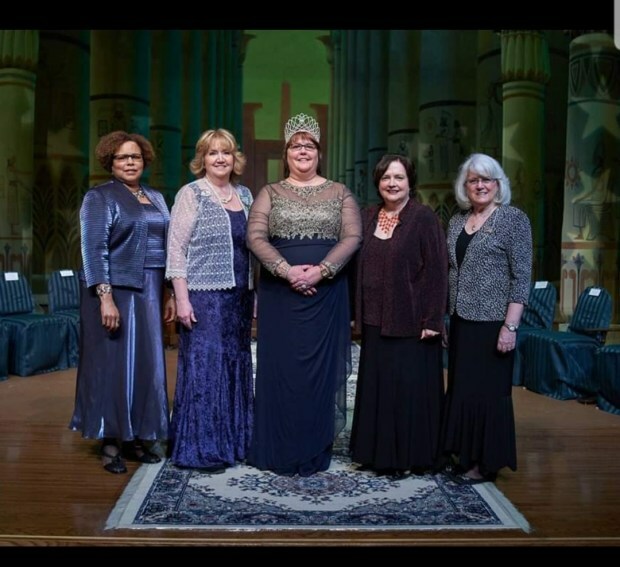 The Supreme Queen of Daughters of the Nile will be visiting Sat-ra Temple on Wednesday, November 6, 2019. Session/Ceremonial will start at 2 pm with banquet to follow at The Field Club Omaha. Reservation information to follow. Please bring your calendars, we will be setting out the meeting dates for the year! Daughters of the Nile is an international fraternal organization for women 18 years or older who are related by birth or marriage to a Shriner, Master Mason, or Daughter of the Nile, or is a majority member in Good Standing of a Masonic-related organization for girls; or who was a patient, with or without Shrine or Masonic relationship, at a Shriners Hospital for Children®. 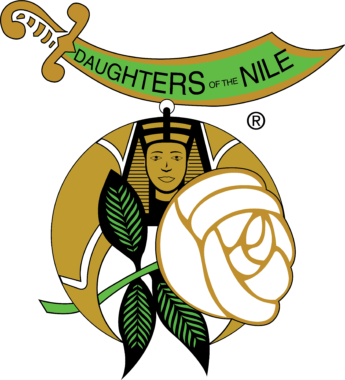 Founded in Seattle, Washington, in 1913, Daughters of the Nile members total 20,000 in 133 cities throughout the United States and Canada. The members are proud of their long association with Shriners International and their continuing support of Shriners Hospitals for Children®. The Daughters of the Nile maintains two permanent endowment funds to benefit Shriners Hospital for Children®. In the United States, the Daughters of the Nile Foundation is a 501(c)(3) nonprofit public charity. In Canada, the Supreme Temple administers the Canadian Foundation. Shriners Hospitals for Children® is a network of 22 hospitals throughout the United States, Canada, and Mexico that are renowned for providing the highest quality care to children with neuromusculoskeletal conditions, burn injuries and other special healthcare needs within a compassionate, family-centered and collaborative care environment; providing for the education of physicians and other healthcare professionals; and conducting research to discover new knowledge that improves the quality of care and quality of life of children and families. This mission is carried out without regard to race, creed, gender or sect, disability, national origin or ability of a patient or family to pay. Through the Daughters of the Nile Foundation and Canadian Foundation, the Daughters of the Nile contributes over $2 million annually to Shriners Hospitals for Children® to be used for the medical care and rehabilitation of children. Since 1924, the Daughters of the Nile have contributed more than $62 million, second only to the Shriners themselves. In recognition of monetary contributions made by the Daughters of the Nile, there are gold plaques, each representing $1 million, or engraved donor name recognition on the philanthropic walls of all 22 hospitals. Many hospitals have two gold plaques, several hospitals have three, and the Canadian hospital has five. Each year the members of Daughters of the Nile give generously of their time and talents by providing more than 181,000 volunteer hours at the Shriners Hospitals for Children®. In addition, they sew clothing and make quilts, and provide toys, books, games, and other educational and recreational items for the children’s use, with an annual value of donated cash, clothing, toys, activity books, gift cards, and many other items which are just under or in excess of $861,000.